You have to try for the impossible, just in order to make the possible possible. 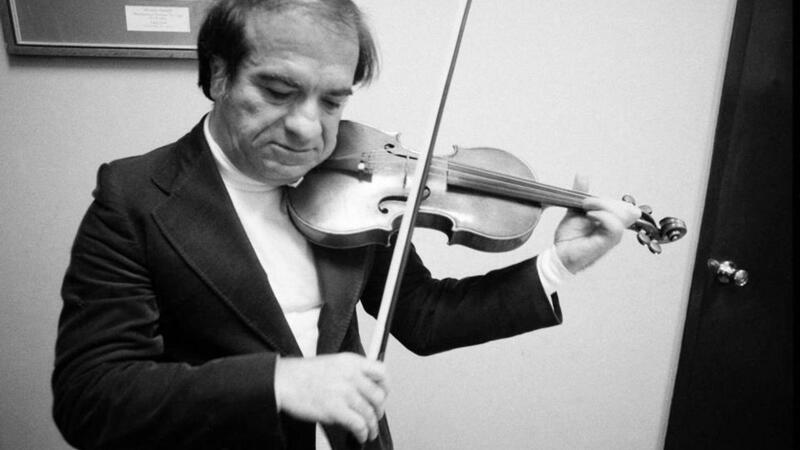 Tomorrow marks the 100th anniversary of the birth of one of the twentieth century’s greatest violinists, Ruggiero Ricci (1918-2012). If it weren’t for Menuhin, I wouldn’t be here. He is four years older than I am, and he got everyone thinking about prodigies. But believe me, when you find a prodigy, you find an ambitious parent in the background…When I was nine or ten, it was beautiful fiddle playing. By the time I was twelve I was a fiasco. His style stresses virtuosity, the slashing attack, the daredevil approach. Though he has a beautiful tone…there is little repose or lyricism in his playing. But it is grand-style fiddle playing without plumbing great depths. The brio and fire make up for a lack of charm and sensitivity. Ricci’s teacher Louis Persinger was a student of the great Belgian violinist, Eugène Ysaÿe (1858-1931). Ysaÿe wrote Six Sonatas for solo violin in July, 1923. Each is dedicated to a violinist who was a contemporary of Ysaÿe. The final Sonata, which is inspired by the habanera, was dedicated to the Spanish violinist, Manuel Quiroga. Ricci’s 1991 recording of the Brahms Violin Concerto with Norman Del Mar and the Sinfonia of London offers a showcase of sixteen cadenzas. This is the moment in the first movement of a concerto, usually just before the final resolution, when the solo violin embarks on a freewheeling, improvisatory romp based on the movement’s main themes. A cadenza by Ferruccio Busoni takes the unusual step of including the orchestra. Ricci includes the cadenzas of Ysaÿe, Kreisler, Heifetz, and Milstein, and concludes with his own.